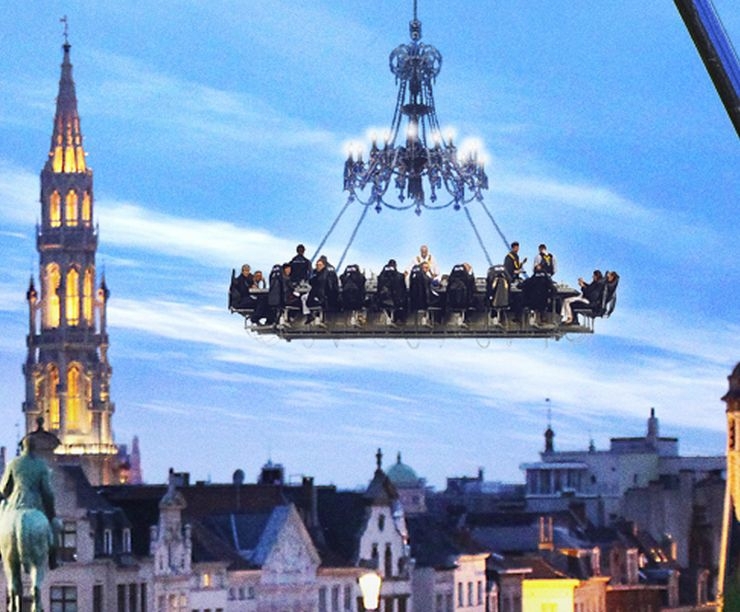 One of several novelty restaurants where "Dining in the Dark" is the lure. By boat and under the sea! 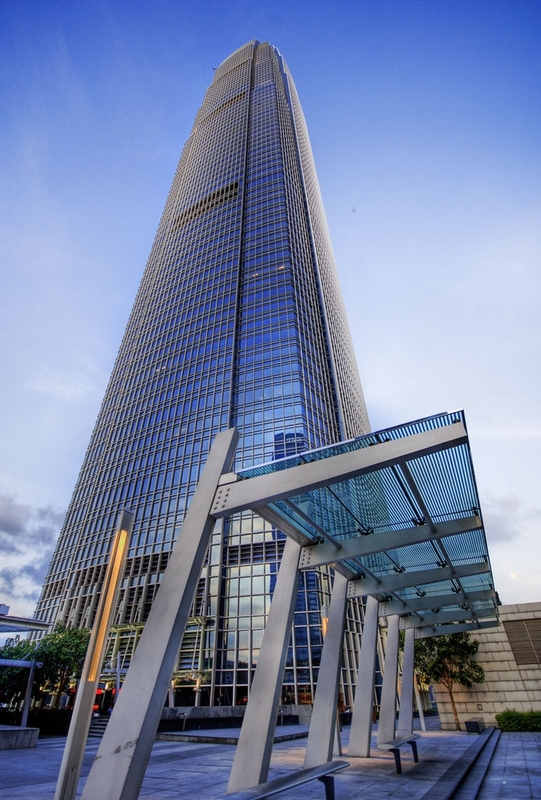 The 8th tallest building in the world is part of an integrated commercial development on Hong Kong's waterfront. The building is often the backdrop for Holllywood productions and the scene of a Batman jump in "The Dark Knight" where he jumped from IFC 2 to IFC 1. 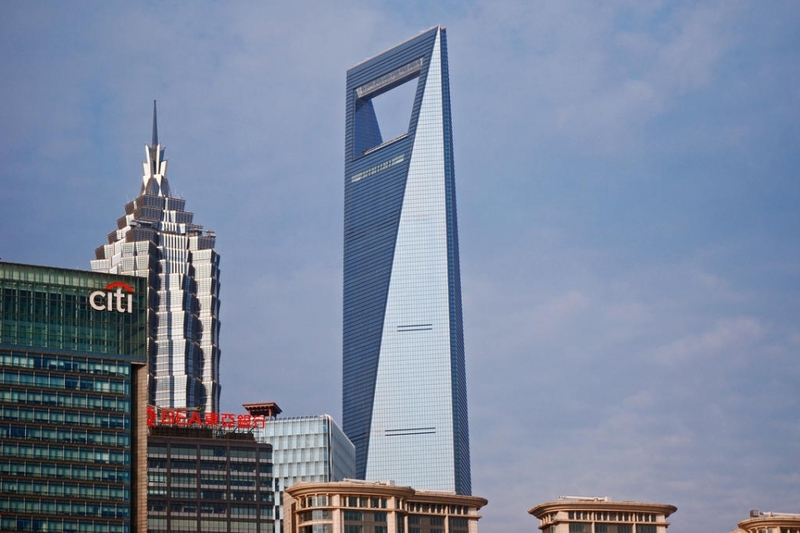 The 7th tallest buiding in the world and named as the "Golden prosperity building", it sits across the street from the Shanghai World Finance Center; its tall cousin. On February 18, 2001 Han Qizhi, a 31-year old shoe salesman from Anhui province "struck by a rash impulse", climbed the building barehanded. Well-known French urban climber Alain "Spiderman" Robert had earlier been trying to convince Chinese authorities to let him climb the structure. Referring to the tower's scaffold-like cladding, Robert commented that his six-year-old son could climb the building and that he himself could do it using only one arm. He faced the possibility of 15 days in a Chinese jail for an unauthorized attempt. He finally scaled the building in 2007. He was arrested and jailed for 5 days before being expelled from China. 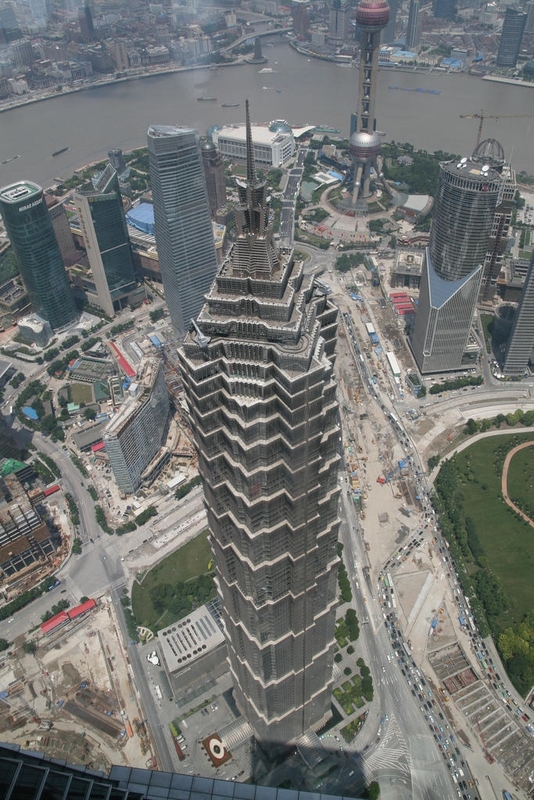 For almost 25 years, this was the tallest structure in the world. In 2003 the Sears naming rights expired and the building was renamed. 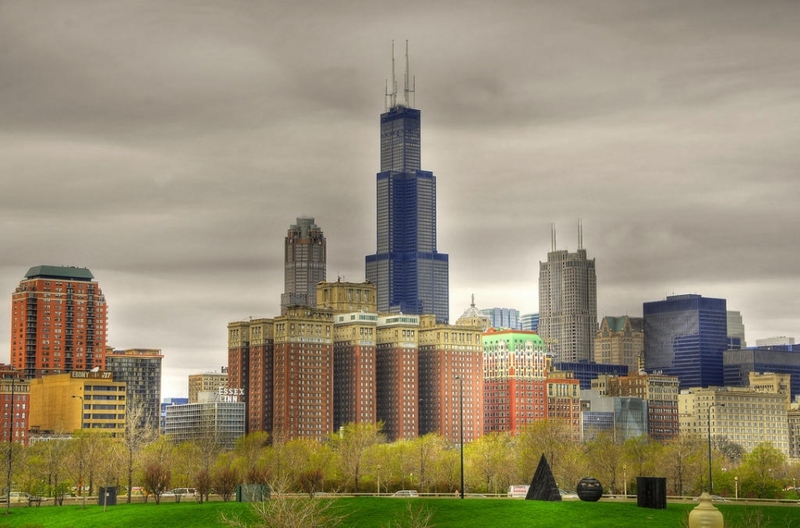 The 103rd floor skydeck is one of Chicago's most infamous tourist attractions with ovedr 1.3 million visitors per year! The fifth largest buildings in the world! The construction of these towers employed the single largest and longest concrete pour in Malaysian history. 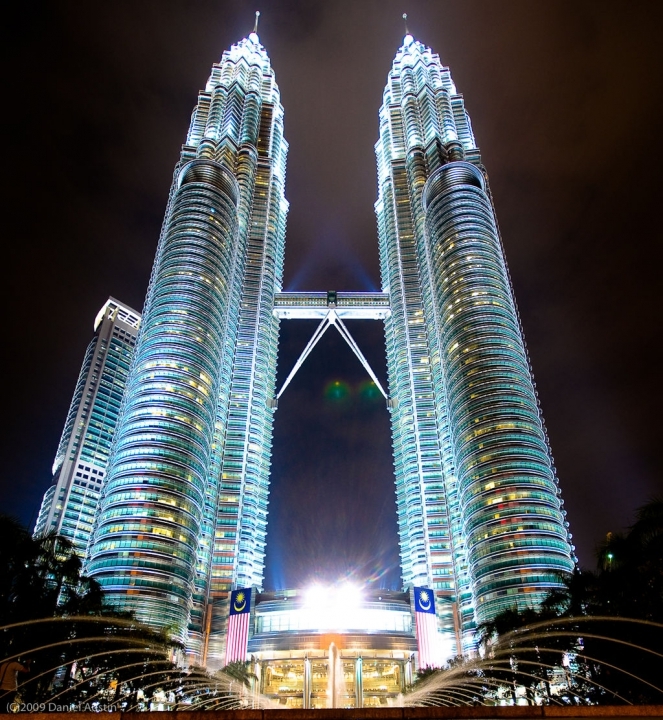 The inspiration of architect César Pelli is rooted in the tradition of the culture and the Islamic symbols including the geometric eight-pointed star floor design, the inspiration is mainly from Malaysia’s own ambition and aspiration. As evident in Pelli hoping the skybridge would symbolize a gateway to the future. The 4th tallest building in the world and the tallest building on mainland China! This building has the nickname "The bottle opener" based on its architectural similarities to the handheld version. There are three observation decks and tickets can be purchased for one or all three. The third tallest building in the world! 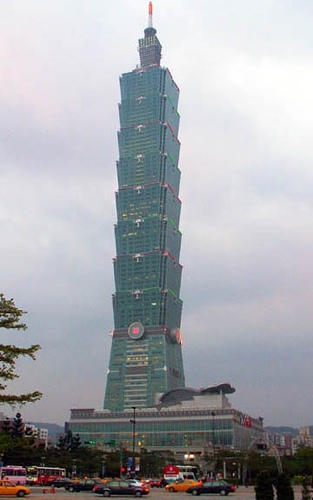 Taipei 101 is designed to withstand the typhoon winds and earthquake tremors common in its area of the Asia-Pacific. Planners aimed for a structure that could withstand gale winds of 60 m/s (197 ft/s, 216 km/h, 134 mph) and the strongest earthquakes likely to occur in a 2,500 year cycle.